Home Unlabelled 10 Family Friendly Board Games no RV should be without! 10 Family Friendly Board Games no RV should be without! There's no escaping it. At least one camping trip every year we fall victim to Mother Nature's need to rain on our parade. Hopefully, it's just a quick shower that will cool off the sweltering heat. Those we can handle. But then there's those times when the rain turns into a downpour and our plans to enjoy the daytime hiking, biking and swimming, and the nighttime roasting smores over the campfire, are quickly washed away. Every RVer worth their salt has books and magazines for those times. Most of us also have at least a deck of cards, too. But anyone with kids knows you need a a cabinet full of board games to while away the hours cooped up inside the RV. 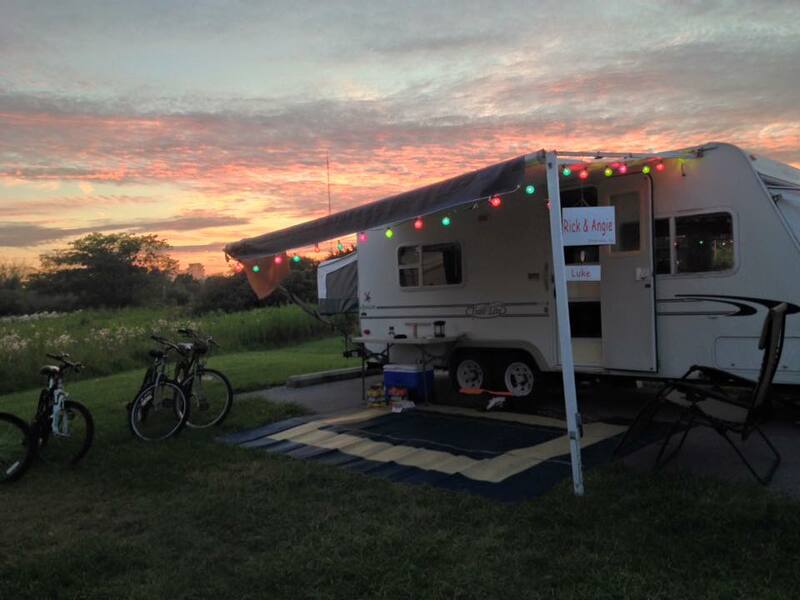 By the way: We have a "no electronics" rule when we camp. So TV, iPods, Gameboys and the like are not an option. 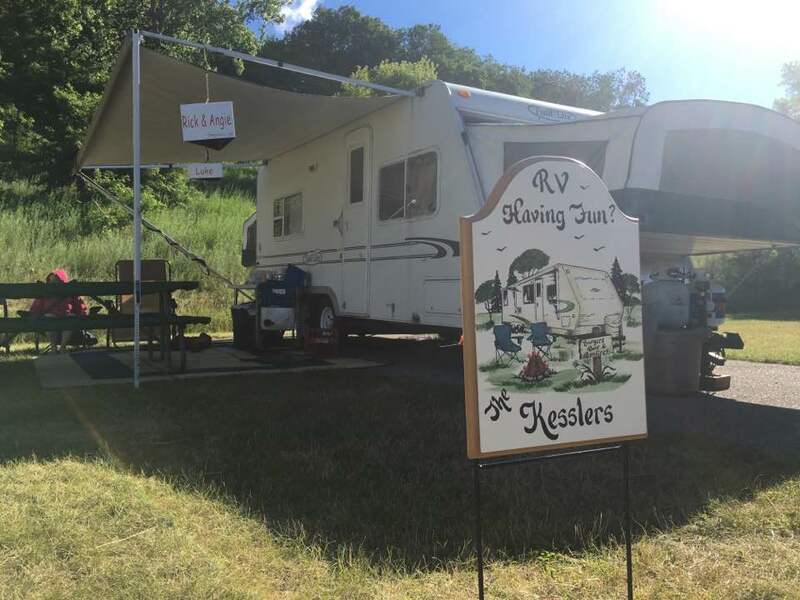 We go camping to get away from all that and reconnect with each other, and a little rain won't change that. With that said, here's a guest post from www.babysittingjobs.com on the Top Ten Family Friendly Board Games. Family game nights are making a comeback in homes across the nation, which should come as no big surprise considering it’s far less expensive to eat at home and play games then it is to go to a restaurant and see a movie. Plus, playing games together is a fun way to brings families some much needed face time with each other. Check out these family friendly games for your next game night. Scrabble is both educational and fun. This game can be played with as few as two players or as many as four or more, if you want to divide into teams. 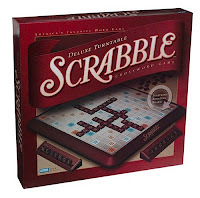 The object is to create the highest scoring word using the 7 tiles that you have drawn at random from a bag of tiles. Many feel that the tip to winning is to learn all of the 2-letter words because this will allow many more scoring opportunities. 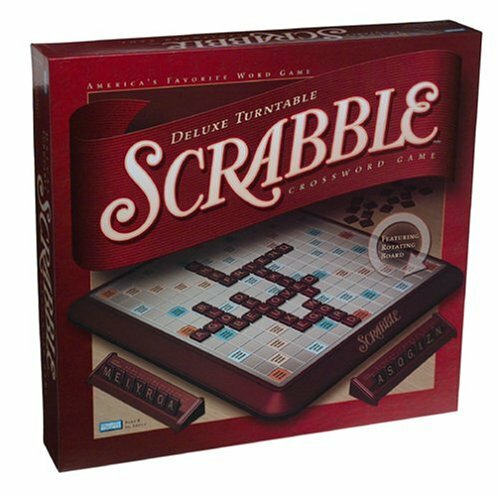 Scrabble has been around since 1938, and since then many games have been created based on the popular word game, the most noteworthy being Words with Friends. Uno is another game that can be both educational and entertaining. This card game is played with a special deck of cards which includes number cards in four different colors and five categories of special cards: Draw 2, Skip, Reverse, Wild and Wild draw 4. Young kids can play this game because the bulk of the game is played by going around the table and placing cards of the same color or number onto the discard pile. There is some strategy that can be implemented by older players by using the Reverse and Draw 2 cards. 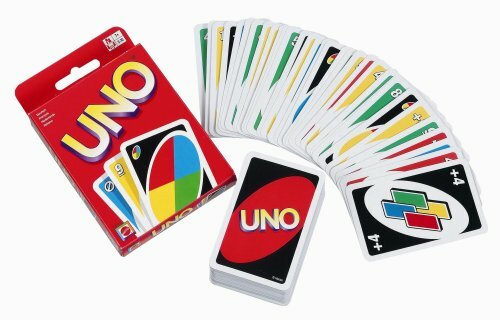 Uno has been sold by Mattel since 1992. 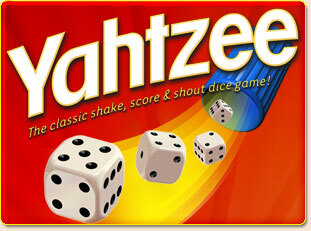 Yahtzee is a dice game that can be enjoyed by the whole family. It’s easy and fun to roll the 5 dice and with a little help, kids can pick out the same number on the dice to save. The object of the game is to fill in a score sheet by trying to roll the 5 dice you start with a maximum of 3 times per turn. You need to save as many 1’s, 2’s, 3’s etc. to fill in the top of the score sheet. The bottom of the score sheet contains things like 3 and 4 of a kind, Full House, and Yahtzee, which is when you roll all 5 dice on the same number. Kids love to roll the dice and everyone at the table can help figure out what the best move is for each turn. 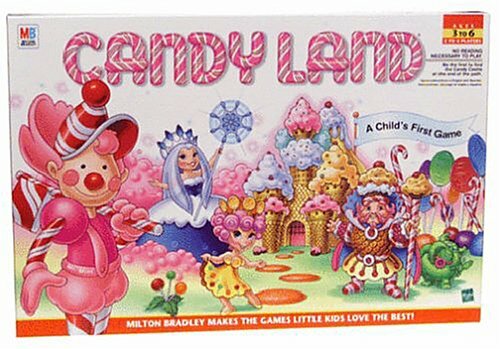 All kids need to own the game Candy Land during their childhood. A board game created with lots of colors and pictures of candy is right up every child’s alley, and this game is simple enough that it can be played with very young children. To play, each child draws a card from the pile on their turn. It will have 1 or 2 squares of a specific color on it. The child then moves their gingerbread man playing piece along the Candyland path until she gets to the first square of that color if she has one square or the second square of that color if she has two squares on her card. That’s all there is to it. Along the path there are pitfalls where they will lose their turn. When drawing cards they may draw a card with a picture on it. When they draw a picture card they can immediately move their playing piece to the space with the same picture. The problem occurs when the picture is clear back at the beginning of the path and the child is almost at the end. By rolling the dice and moving around the board you can buy and sell real estate, making everyone in the family real estate tycoons. If another player lands on a property you own, they have to pay you rent. 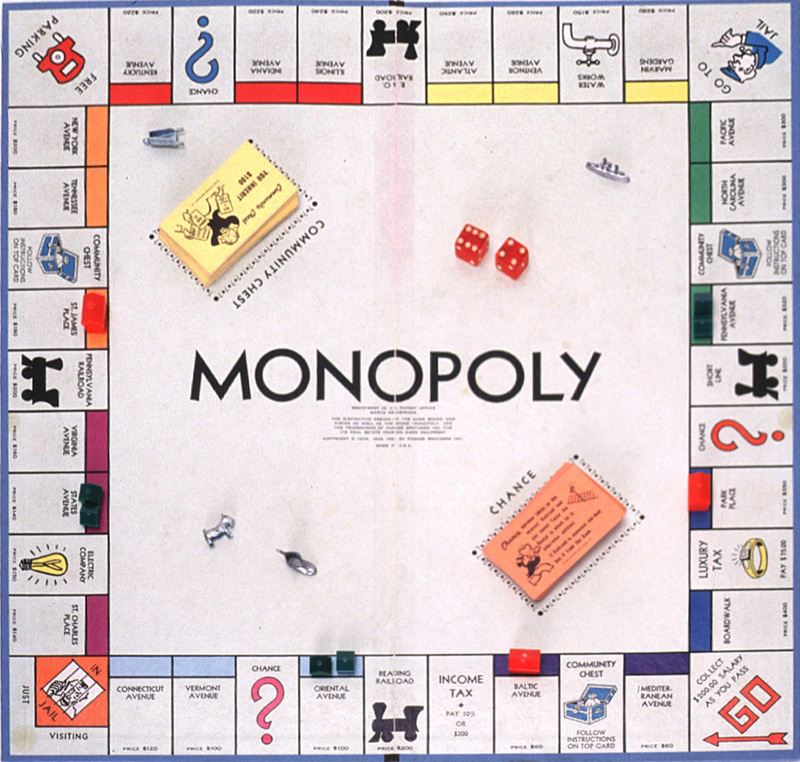 If you get all of the properties of the same color then you are said to hold a monopoly and you can charge double the rent. 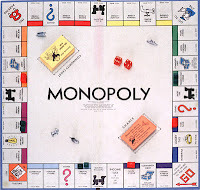 Once you have a monopoly you can also build on your properties, whether it is houses or hotels, and charge even more when people land on your properties. Kids need to be able to count money to play Monopoly so it’s probably best suited for kids 8 and up. Pictionary brings the classic game of charades to paper. In this version, charades are done as a drawing game where you can work by yourself or in teams to guess what is being drawn. Each player will take turns and will draw a card from the box. Depending upon what space their game piece is resting on determines which line they have to draw on the card. The category helps the guessers narrow down their guesses, and the drawer does their best to draw whatever is on the card to get their partner or teammates to guess the word. There is a time limit, so the drawer and their teammates are working against the clock. If they guess the word then you get to move your playing piece, if not you have to stay where you are. This game translates well to a party game played with a white board and some markers. 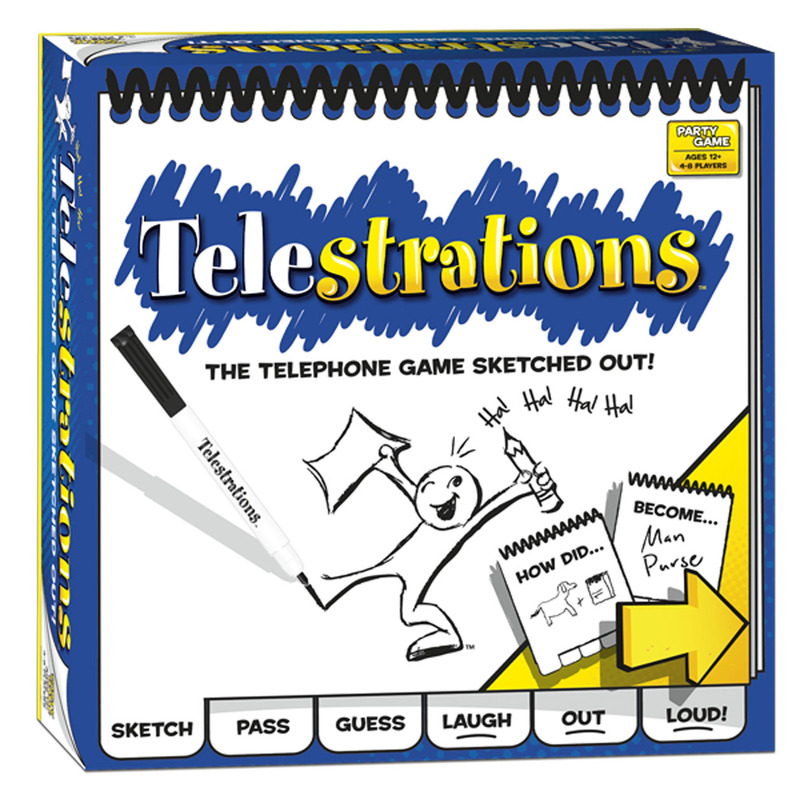 Telestrations is a newcomer to the board game family and is a family friendly game that will have you rolling with laughter. This game was based on the old telephone game where you would whisper a line or story into one person’s ear and the story would have to be retold by each person all the way around the circle only to discover that at the end the story was significantly different than how it started. Each person is given a booklet. On the first page they write down what the drawing is to be and then pass it to the next person. In the mean time you are being handed a book where someone else has written an item that you must try to draw. The pages are folded back and forth so that the first person writes what the picture is supposed to be. The second person can look at that word and then draw it. The third person can only look at the picture and write down on the next page what they think the drawing is. The next player has to draw what the last person guessed. The final person guesses what the last drawing is and then passes it back to the original person. As you can guess, the pictures don’t always match the words and hilarity ensues. The original Trivial Pursuit contains a box of questions and a board. The playing piece is round and is filled with different colored pie-shaped pieces based on 6 different categories. 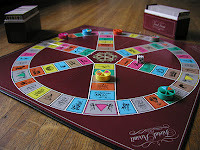 The spokes of the wheel on the board contain different topics that have to be answered. Once you land on category headquarters then you can answer the question and earn a piece of pie. Once you have earned all of your pie pieces you can move to the center to win the game. If you answer a question correctly you can keep going until you miss a question. If you like murder mysteries you will love the game Clue. In this game you become a character and move around the board collecting clues. You need to ask questions and figure out who the murderer was, where the murder was committed, and what the murder weapon was. For example, Colonel Mustard did it with a wrench in the library. Once you have made your guess the envelope containing the answers will be opened to see if you are correct. 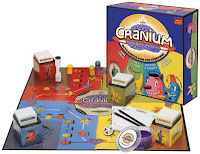 This game promotes logical thinking and works on memory skills. Cranium is billed as the game that involves your whole brain. There are four card categories in which you could have to answer. One is Creative Cat and it can have you draw a clue like Pictionary, draw a picture with your eyes closed, or sculpt something out of clay. The Data Head category requires you to answer trivia type questions and the Word Worm category sometimes requires you to spell or figure out anagrams and the like. The last category is Star Performer which is just as you would suspect, you have to act out the word, hum a song or speak in an accent. This board game is lots of fun for the whole family. 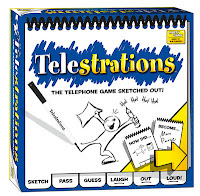 I’ve playtested telestrations once and from that experience I can tell you it’s a pretty good game! As a fan of online games who often visit best bingo sites,I discovered that the outside world has really a lot of things to offer. And that’s what really sells it.